Anne and Kevin have set their wedding date for October 10th. Yay! I love weddings. I also love being in weddings. Therefore, I am happy to report that I get to be a bridesmaid in the wedding. Yippee!! Sadly, this will most likely be my last opportunity to be a bridesmaid. Therefore, I am going to go all-out this time around. Do you think she'll mind if I wear a tiara and bring my own entourage? 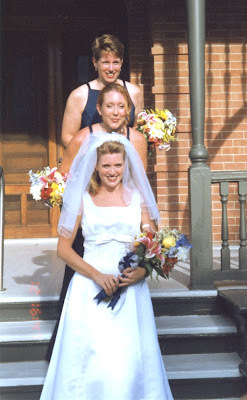 Is there such thing as a bridesmaid-zilla? Ok, ok, I promise to behave and be a good little bridesmaid. I am very much looking forward to it! 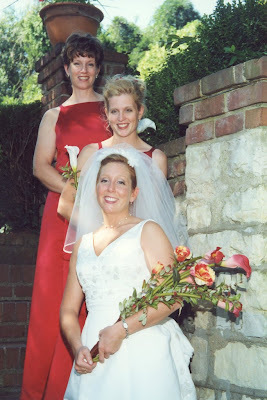 I'm also looking forward to completing this series of sister-wedding photos. I hope when she was selecting her wedding venue that Anne put the proper emphasis on finding a location that has stairs! !